Eatin' and groovin' through life. The [not so] great salad debate. Do I like salad? Sure. I love vegetables and I think its a great way to get ’em in your diet if you have trouble doing that. Do I think a salad is a meal? No. They just don’t satisfy me. And there is a 95% chance (never say never) that you won’t see me eat a salad as a meal. Maybe as a side dish to cram some extra veg action in, but not as my main dish. Today I had a debate with myself about what I wanted for lunch. I knew what ingredients I wanted: avocado and tomato. 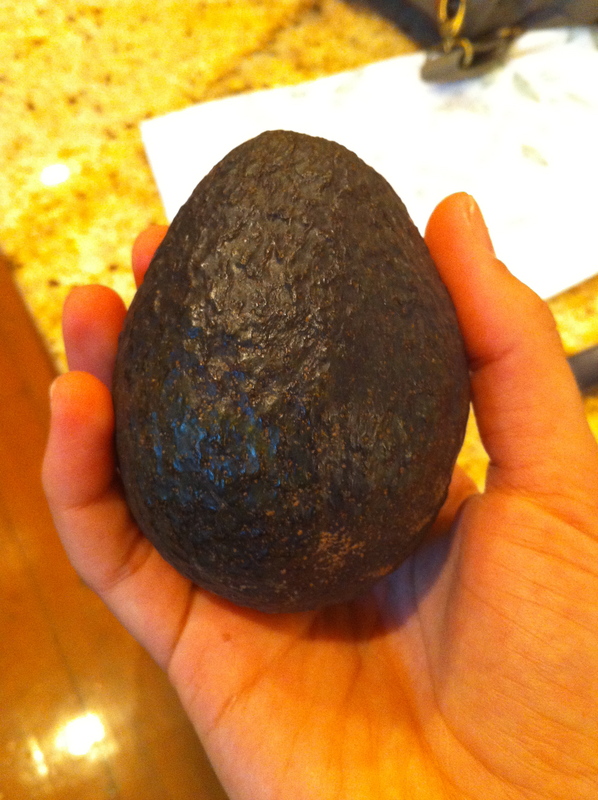 Perfectly ripe avocado? Yeah pass that puppy over here. I just debated whether I should have them in salad form or in sandwich form. Sure, I probably still would have had two pieces of toasted sprouted bread on the side, but why would I want to do that when I could have all of the ingredients I wanted in between that delicious bread? Then I called myself crazy for even debating and made a phenom ‘which. 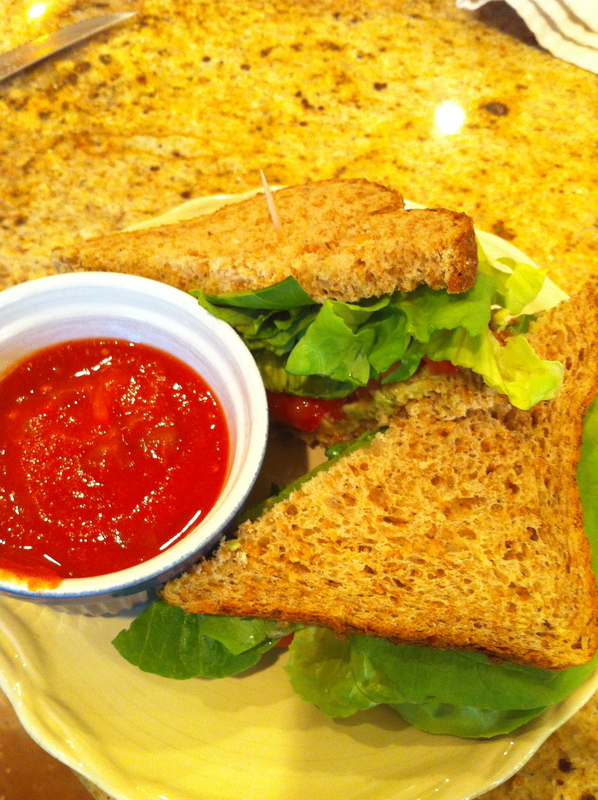 Half of an avocado, cream cheese, a whole big tomato, butter lettuce, sprinkled with sea salt, between two slices of Alvarado St. Bakery sprouted bread with salsa to dip it into. Uh.. Yeah. If its at all possible, its better than it sounds. 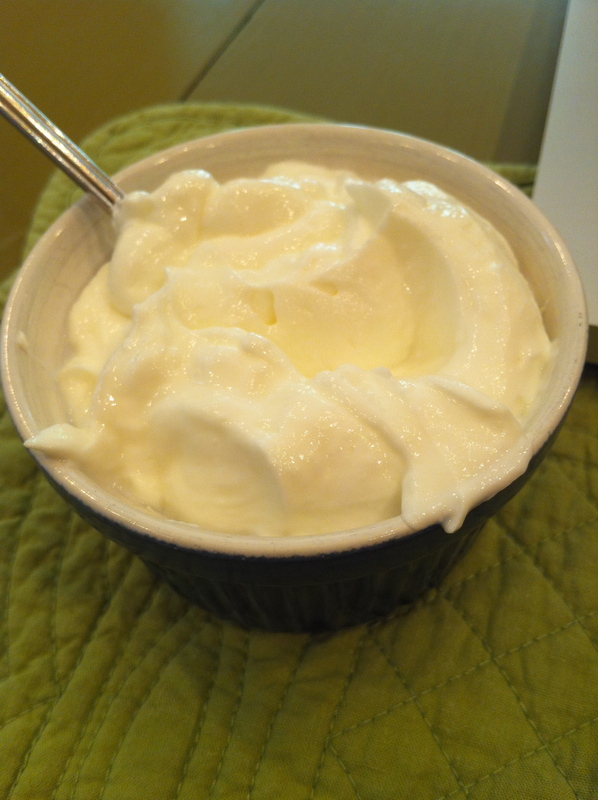 + Some Fage 2% on the side. Because its superior to 0%. I buy it in giant tubs in an attempt to reduce my waste. I go through a lot of this stuff. Then tragedy struck. 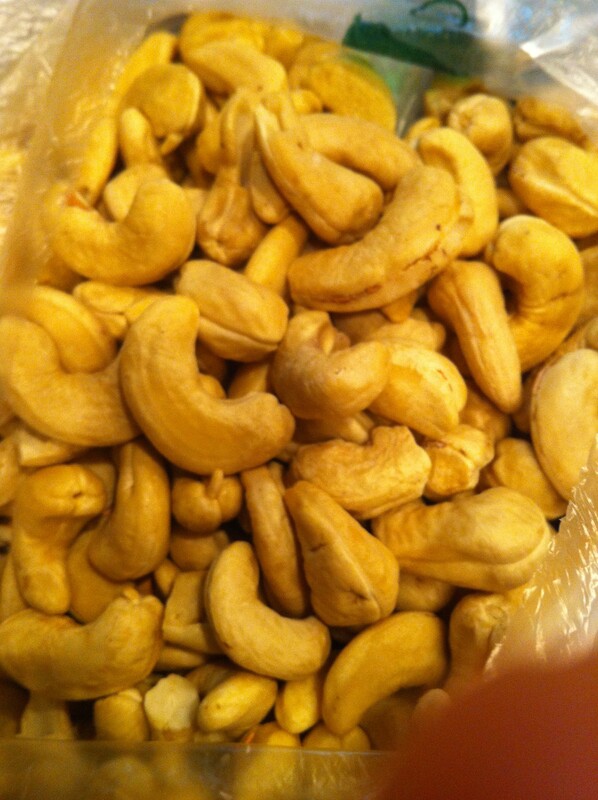 I was about to reach my hand in the cashew bag, but it was missing! (I’m visiting home right now so someone in the fam ate them, they didn’t just disappear) So, I immediately got into the car to go to get more cashews. Naturally. You’re wondering if that’s a “bagel thin”? Absolutely not. If I want a bagel, which I often do, I want a bagel with a chewy outside and soft doughy interior. And bagel thins just don’t get the job done. Plus, they have a laundry list of ingredients. 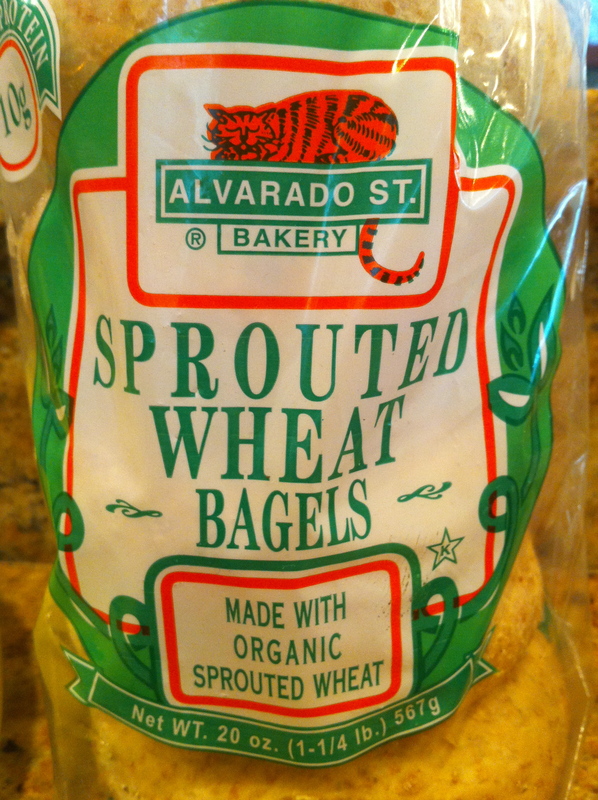 Alvarado St. Bakery hasn’t failed me yet. These are redonkulous. Do you eat salads for meals? 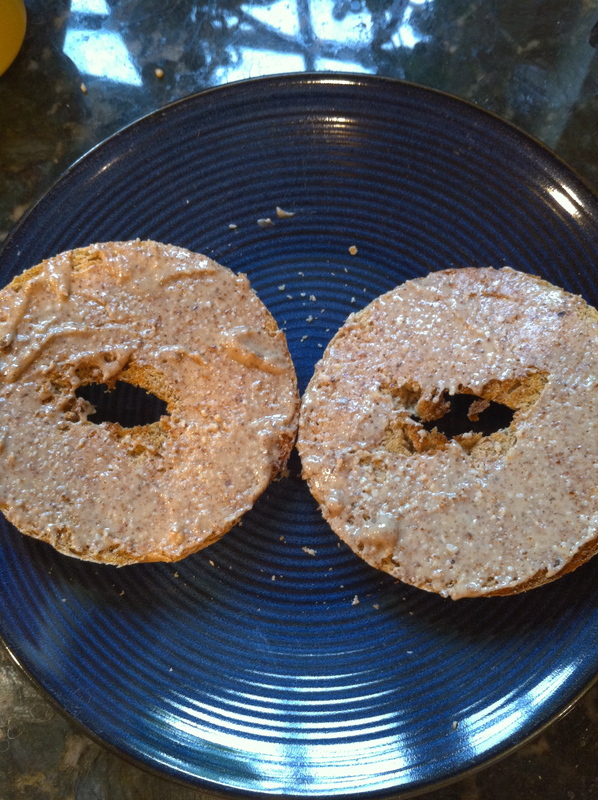 Bagel thins vs. bagels: which one wins for you? Health and fitness and fun lovin' college student eating, running and playing my way through life. I consider a salad a meal, but i make a HUGE salad with tons of veggies, spinach, and a source of protein like chicken or fish! Animal lover, food enjoyer, fitness enthusiast, rocking out to old school jams daily.